I am looking for a gaming desktop and would like to know what specs it should have, which brands are reliable premade or configurable, and what would top out at $1500. If I need to spend more I would need it to be under $2000 and up-gradable. After looking at laptops and hearing the poor sound, seeing issues with heat, etc and the higher cost I think I am sold on getting another desktop. Any suggestions for a list of parts for maybe building one. I have a friend who is a tech who might tackle it but I would have to tell him what I want. My experience with Alienware was horrific so I don't trust them at all. I have an old Aurora paperweight on my desk that makes me cry when I look at it. After all the parts being replaced multiple times it still was dead and couldn't even load windows. $3800 and after one year Dell realized they couldn't fix it so they summarily cancelled my other three years of premier warranty and never refunded me anything or replaced the computer. Should have sued them but other things around here took over and there was no time. I am using hubby's little laptop, which is bare bones so I need my own computer. Thanks in advance. I always get good advice here. Having your tech friend help you build it would give you the best parts for the price. Please fill this out as this helps us help you. When are you purchasing the parts ? Are you upgrading or taking parts from any older PC/laptop ? Why are you upgrading ? Do you plan to upgrade this PC ? Do you need a OS or any other software ? Do you need any Monitor ? Do you need any peripheral ? When are you purchasing the parts ? As soon as I figure out what I need to buy – or is there is a preconfigured rig from a company that would be recommended. What is your budget ? $1500 - $2000. Can’t afford what I used to. What are your needs ? I like my computer to be somewhat futureproof for a while as I don’t upgrade quickly. At least 16 Gigs of ram upgradable to at least 32. I’d like a fast processor as I multitask. A NVidia graphics card (never been a Radeon fan), but I don’t think I need the very top as I have in the past – something affordable like in the 1060 to 2070 Ti range or is that overkill? My last Alienware (never again!) had a 690 in it with a top Soundblaster card in the other slot. The SLI never worked so that’s why I got the dual in one 690 card to replace 2 680s. When the computer worked, it was great. Hear the monsters, kill the monsters lol. That was top of the line then so you will know how long I have been without my own computer. I need the computer for Gaming (not the top crazy ones requiring off the chart settings as I can’t sit long to play online anymore), Graphics – as an artist I use Photoshop, designing, painting, and video stuff and usual office stuff. I would like something that can be upgraded and has a lot of ports – many usb, hdmi, card reader, optical drive (many of my games and software are on disks) and would like at least a 144GHz support for a good monitor, maybe a Soundblaster card (don’t know if that is necessary) and ability to plug speaker system in it. Question to save money right now: Can I use my old ultrasharp Dell full HD 24” monitor for now and then get a better UHD screen later? It does not have an HDMI port so I wouldn’t know how to plug it in.. Your preferred sellers/websites : I don’t know brands or specs now so your guidance is essential. The problem with building one is making sure everything is compatible and getting someone to build it. So some reliable computer makers would be helpful. Just wasted a whole lot of time looking at laptops. That was a huge mistake. They run too hot and are limited. Your part choices : I need help here. Must be Intel and NVidia though. I will need a good SSD storage brand and a hard drive. Also must have an optical drive read and write. Lots of ports as I have a lot of usb stuff. Are you upgrading or taking parts from any older PC/laptop ? My Alienware is deader than any doornail on the planet. I had 3 more years on my Premier warranty and they refused to replace, fix or refund. They just stole my money and dumped me on my head. I was told to sue, but family illness including my own took over my life for a long while. I would love to enjoy my own computer again. So after 38 years of being loyal to Dell products, I spit on them. They are the land of used refurbished parts, unscrupulous business practices, bad tech support and management. So good riddance to very stinky and bad rubbish. Why are you upgrading ? My Alienware is dead. Can’t even load windows. The blue eyes were the best part. Do you plan to upgrade this PC ? No! Do you need a OS or any other software ? I need Windows 10, a new Adobe Photoshop Elements or I will use an older one. I have Office professional and Norton Deluxe. Probably will need other software down the road. Do you need any peripheral ? I have mice, keyboards, printer (wireless and hard wired). I have a router and modem also so I don’t know what else I would need. I would like two options: one would be parts for a build and second would be recommendations for reliable premade companies. I live in Massachusetts so if you need help building I'd be more then happy to help. For a custom build this is what I'd recommend for you usage. I really can't recommend any prebuilts as they usually cut corners on the motherboards, PSU's or another vital part. Hate to make a recommendation then have you run into the same issues as your Alienware. What connections does your current monitor have? That's a nice offer of help WildCard. Just checked out my monitor. It is plugged into a DVI-D1 slot right now. But I am surprised. It also has a DVI D2 slot a display port, a VGA port and drumroll... an HDMI slot! It looks flat but I never looked up under the frame where the wire is connected. always thought those other ones were missing lol. Besides, I never really knew what all that stuff was in those days. It also has 2 usb ports, an XD/SD/MS/MMC slot (guess that is the card reader?) and a CF slot. I don't know if I plugged in my mouse, etc into the monitor if the usb would work. Isn't it supposed to be part of the computer? Is that enough cooling and is it quiet (Used to liquid cooling)? 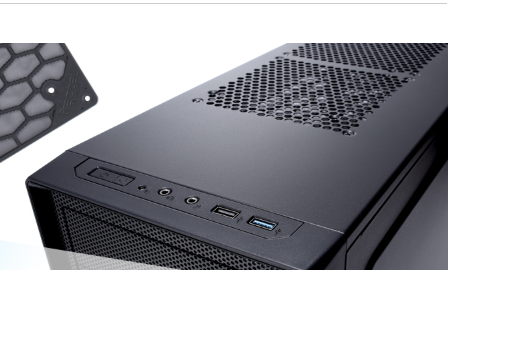 Is that power supply big enough at only 650 watts if I want to upgrade down the line? Do I need a sound card on these newer computers? Does this support a second card? What ports come with this set up? I'm not sure if plugging the mouse into the monitor would work, can't test that atm but the motherboard should have enough ports. Larger high end air coolers can match larger AIO's in performance but are much quieter. 650W is plenty and the Seasonic Focus Gold is one of the best units out there, could handle a 2080 ti if desired. Depends, onboard sound has improved drastically over the years but if your a audiophile then you may want a card. I'd suggest trying the onboard sound first. The motherboard supports SLI/CF (second GPU) however the driver support for multiple cards is very poor nowadays and isn't worth it over buying the better single GPU. There's also USB hubs if more connections are needed. Thanks for all that. I'll be looking at all the parts this weekend. i have rx 580 8gb gaming x plus.and i will sell it . tomorrow i will buy gtx 980 ti g1 so this is a good choose ?? Which gaming pc build should I choose?